1955 Kitchener Street is one of those homes I just want to spend time in. It has so much to love…where should I start? 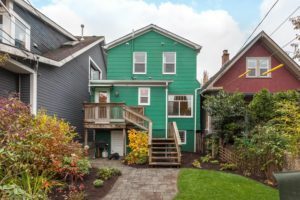 Location – A stone’s throw away from Victoria park, close to public & private schools, shopping, bike routes & transit, just 2.5 blocks to the heart of Little Italy on The Drive for some of the city’s best market groceries, coffee, and pizza! 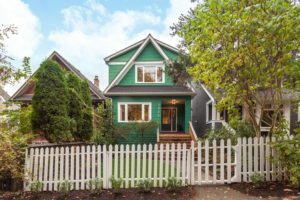 Character – This home has that look Commercial Drive is really known for with a bright green, Craftsman style exterior, wood trims & character roof lines. 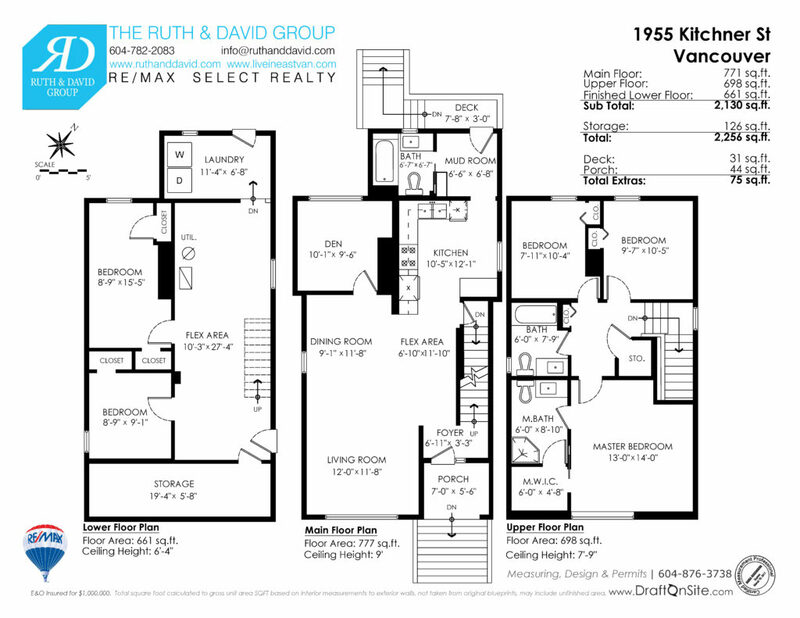 Layout – Spacious open plan main level with full bath, bonus den/office, convenient mud room, formal dining area & amazing upper floor with 3 bedrooms, 2 bathrooms & great storage. Basement below holds other options for those looking to finish off a partially finished space. Not really suitable as is with 6’4″ ceilings, but a great space for the family, someone who works from home or storing all your stuff to keep the upper floors tidy. 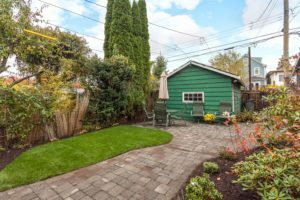 Bonuses -tons of valuable mechanical upgrades, high ceilings, rich Cherry wood floors, exposed wood beams, pretty front yard, dialed fenced back yard with gardens & single garage. We out rank the competition in this neighborhood 4-1, so if you have any questions at all about the market, the community, this home or anything to do with real estate in general – call us. We love The Drive, we live in The Drive.